Have you got a knack for electronics and computers, a penchant for public speaking, and a strong desire to work for one of the most brilliant scientists of our time? If so, have we got some news for you. Stephen Hawking is hiring. And best of all? You may actually have a decent shot at the job. According to his website, the famed theoretical physicist is searching for a technical assistant, and this is good news for those of us who aren't, well, whizzes at theoretical physics. Why? Because even though the official title of the job posting is "Graduate Assistant to Professor Hawking," this isn't a position for academics looking to study at the feet of the master of cosmology. It's actually a technical post. 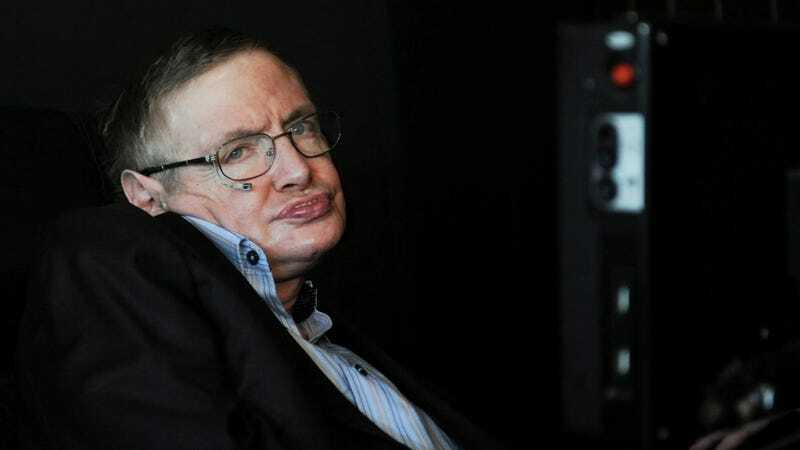 Your job will be to facilitate Hawking's ability to "function within the physics community and as a public speaker." So what, specifically, will Dr. Hawking require of you? You can find the entire list here, but basically you'll be playing the dual role of manager/tech assistant — coordinating travel arrangements, drawing from your understanding of computers and electronics to maintain Hawkings' speech systems, dealing with press, fielding inquiries from the public, helping maintain the website, etc. Think you've got what it takes? Head over to Hawkings' website to learn more. The official application process probably wont kick off until mid-January, but you can already fill out an "unofficial" application form. "Unofficial," in this context, means that you wont be offered a job based on the contents of this preliminary application alone, but your submission could be used to help cherry pick you from hoards of "irrelevant applications," should official channels become overwhelmed. Which they obviously will.